The Broad Task | T.O.T.E. I don’t mind telling you, I sometimes really struggle with my vocation to motherhood. But sometimes, especially when my brain is made of sleep-deprived mush, I wonder what that expensive Catholic education was for (apart from meeting Andy, of course) and fantasize and dream about the coulda-shoulda-wouldas. To be Queen Elizabeth within a definite area, deciding sales, banquets, labours, and holidays; to be Whitely within a certain area, providing toys, boots, cakes and books; to be Aristotle within a certain area, teaching morals, manners, theology, and hygiene; I can imagine how this can exhaust the mind, but I cannot imagine how it could narrow it. How can it be a large career to tell other people about the Rule of Three, and a small career to tell one’s own children about the universe? How can it be broad to be the same thing to everyone and narrow to be everything to someone? No, a woman’s function is laborious, but because it is gigantic, not because it is minute. 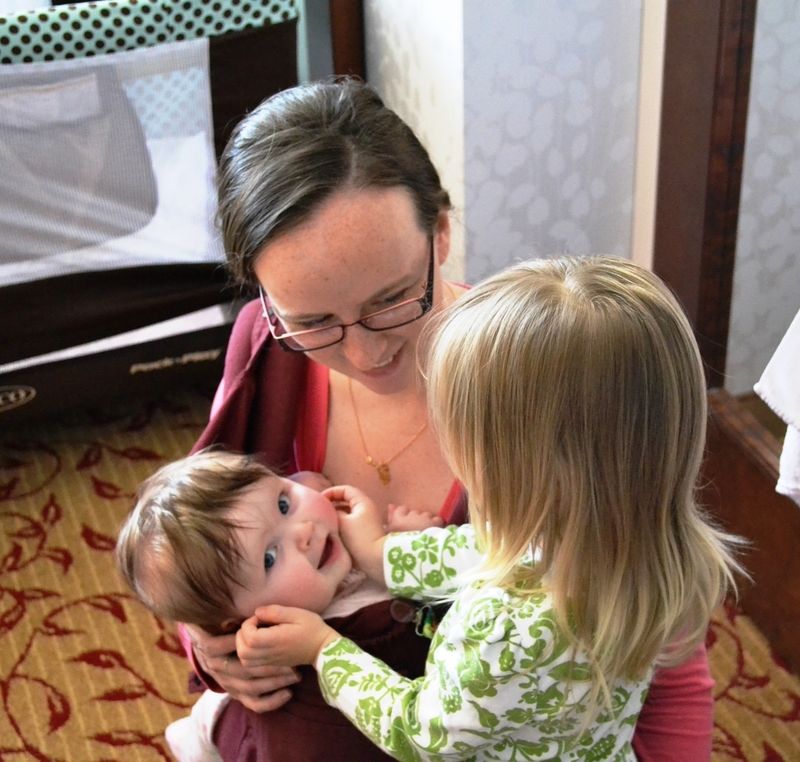 Motherhood…I am both pupil and teacher, and I’m learning so much. This entry was posted in Uncategorized and tagged Inspiring, Serious Stuff. Bookmark the permalink. Thanks for your honesty! And: those cheeks!! !